All electronics work and its a shelf queen. 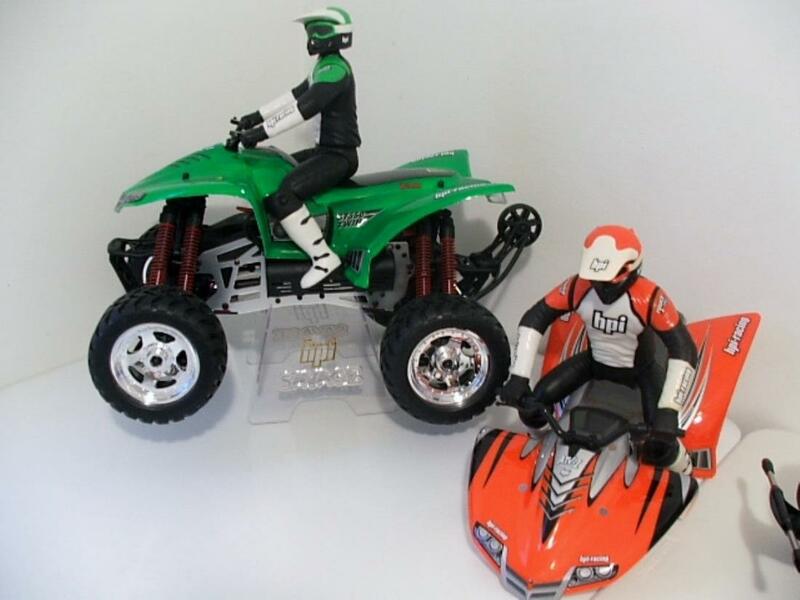 I bought it brand new in the box and it came with the red ATV body and red rider. 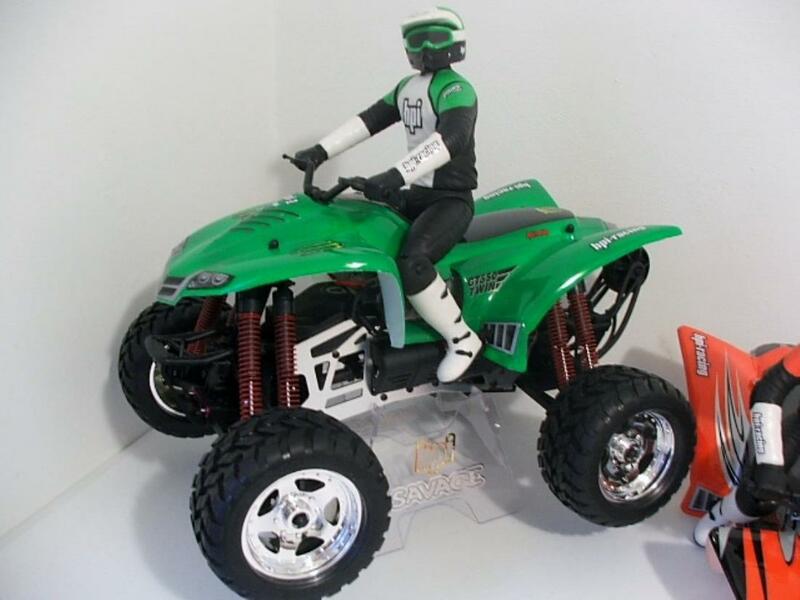 I found an extra ATV polycarbonate body on ebay and a new green rider on the net. 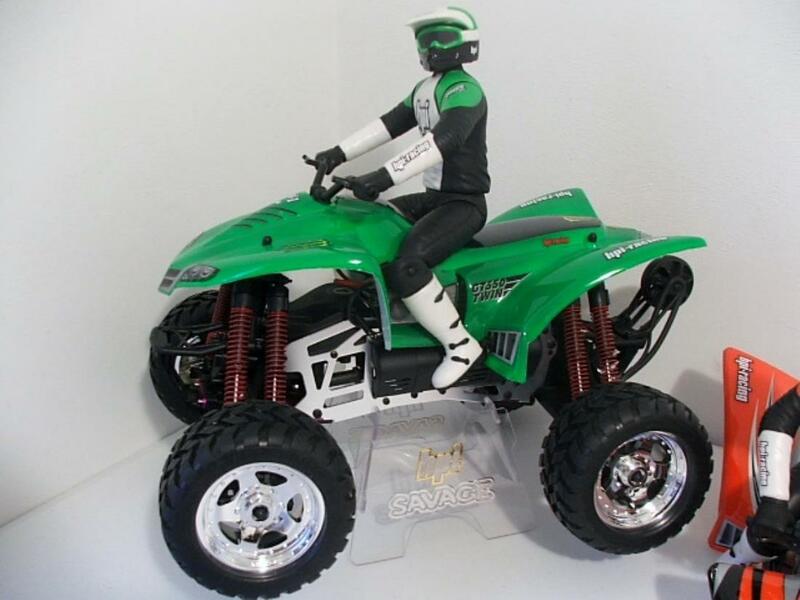 I trimmed the body out and painted it a flourescent green with bright white on top of the green for a more cleaner look underneath. Put the decals on and I think it turned out great. 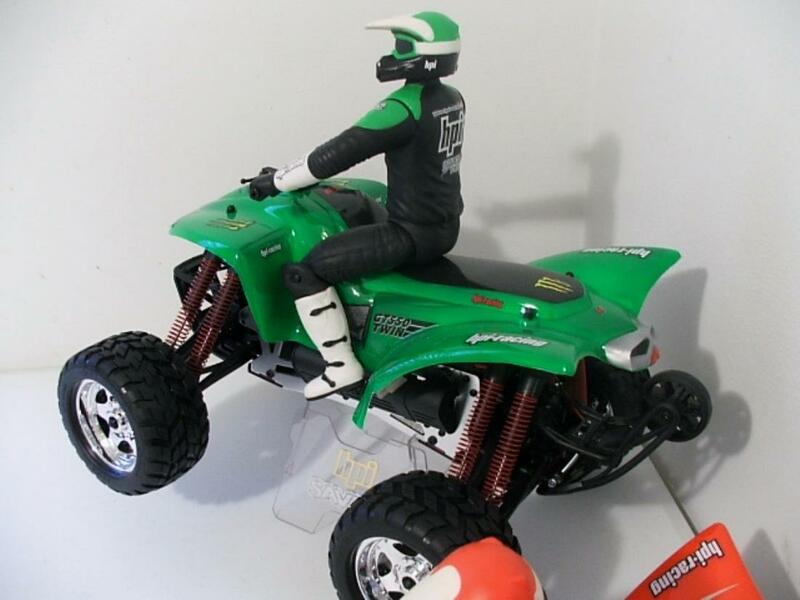 I used to have the Hot Bodies version with HPI ATV body on it. Ended up selling or trading it.